Download your own Credit Report and make notes on the Report before you submit with your Rental App. Explain all accounts in collection and/or all info that is NOT correct. Credit Bureaus make LOTS OF MISTAKES. Don't be a victim to their inaccuracies. Be ready to put money down to HOLD the desired apartment while the Landlord is processing your application. 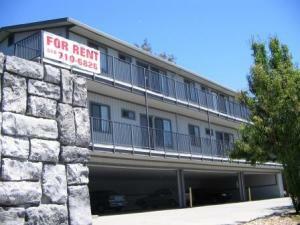 If you are accepted by the Landlord, your Holding Deposit is usually credited towards your refundable Security Deposit. And if your application is NOT accepted, your deposit is usually returned to you in full. Always ASK FOR A RECEIPT from the Landlord or agent for the landlord when ever you submit money (with your rental application) for any reason. Reputable Landlords will always give you a receipt... and especially if you ASK FOR A RECEIPT.